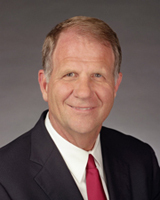 Congressman Ted Poe to Host "Congress After Hours Event"
On Tuesday, May 22, I will host a “Congress after Hours” event at Church of Champions. During the informal, come and go event, neighbors will have a chance to visit one-on-one with me for a few minutes. This will give people the chance to share their concerns and ideas. Attendees who have questions about individual casework or the Service Academy nomination process will be able to speak with members of my staff, who will also attend the event. I hope all of my neighbors will join me again for Congress after Hours. I look forward to talking about what Congress is working on in Washington and hearing people’s ideas and feedback. Listening to their thoughts, questions and concerns allows me to be a better advocate in Washington. WHO: Congressman Ted Poe, staff & constituents from the Second District.